My daughter has a 2005 Ford Escape that she purchased through a local dealer in May 2017. In the past month she had noticed a squeaking noise in the right back area. We thought it may need shocks replaced. In the mean time about a week later it started making a banging noise in the rear passenger wheel well. Upon inspection and anticipation of replacing the shocks we were in shock as to how bad the rust was in the wheel well that the shock actually broke away from the car and that is what the banging was. 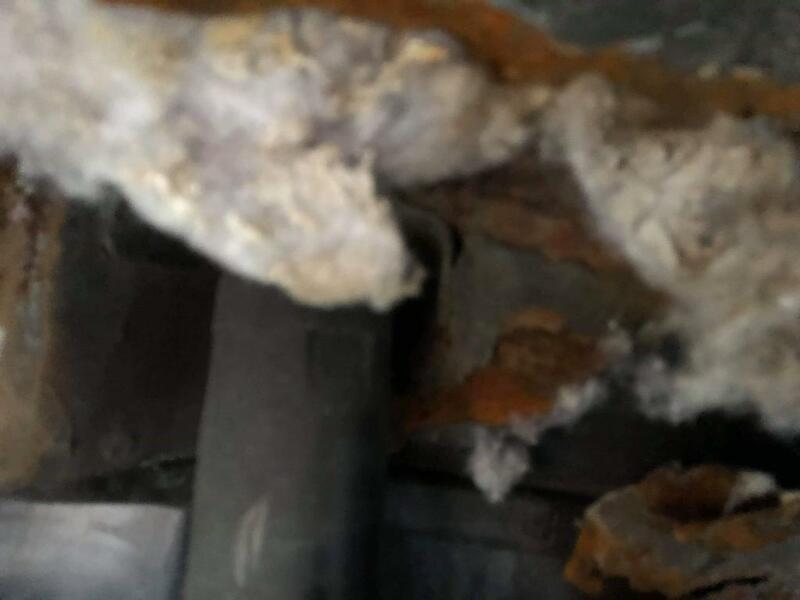 The car is not safe to drive and as I can tell there are no recalls or safety reports on this matter even though it is a major safety issue and I have seen thousands of complaints about this same problem. I have sent a complaint to NHTSA about this because this needs to be addressed and taken care of. Apparently Ford is trying to shrug this off and no one is making them take responsibility for this well known issue. Please join me in filing a complaint to: nhtsa.gov for manufacturer recalls. And from now on I will not even bother checking safety recalls for a car purchase but will use this site as my guide. My daughter is stuck paying on a car that is not safe to drive and is not worth anything and will probably not be worth repairing. I am so very disappointed with Ford which I have had 2 used eExplorers in the past 10 years and I don't think I will be purchasing another Ford ever again. Severe and worsening rust on driver side wheel hub and area under gas cap. Based on similar complaints, erosion continues posing serious problems. This problem is known to Ford and I was told that by several repair shops but Ford has done nothing about this issue. My wheel well ripped open while I was driving on the highway and could have been a catastrophe. 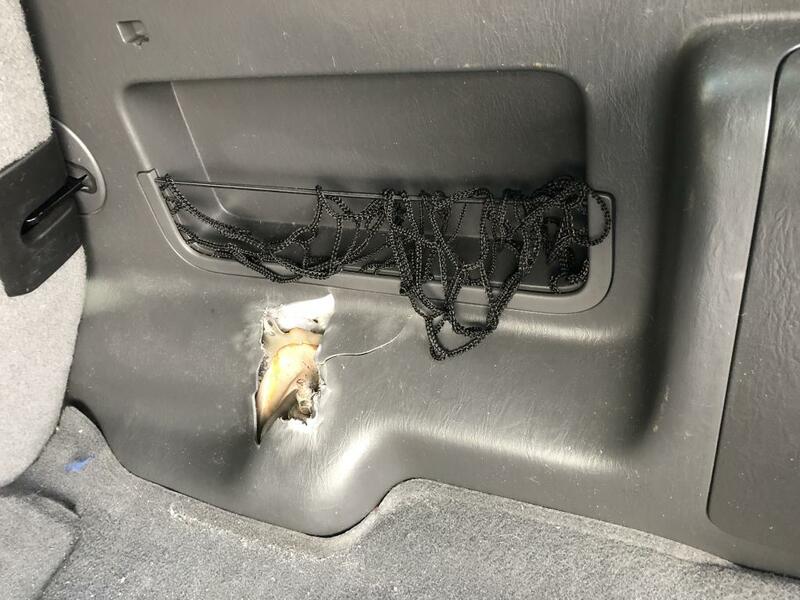 Either Ford needs to do a recall and fix this issue or a class action suit needs to be filed on behalf of all the Escape owners who are currently suffering through this issue. 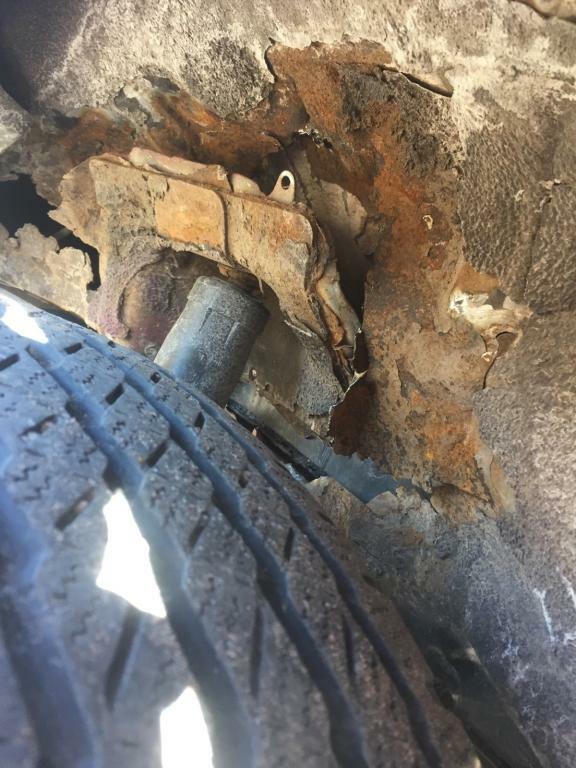 I was quoted over $3,000 to replace the sheet metal under my wheel well and I don't feel that I should have to try to come up with that when Ford could have avoided this mess. FORD, ISSUE A RECALL OR FACE A CLASS ACTION. Sounds exactly the same as the others. Why does Ford sell cars for a premium price,but can't afford a second coat on one of four wheel wells ? They've been building cars for a long time. They should've learned things like this along the way. Ford should have stepped up and at least notified the public of safety concerns to owners, and every other driver on the roads,if they will not recall this model.Where are all the lawyers when you need them ? I guess it's time to reconsider the prestigious reputation Ford has enjoyed for so long. Maybe take a look at the award winning line up of the new Chevy. It would be nice to buy a "quality" American car. 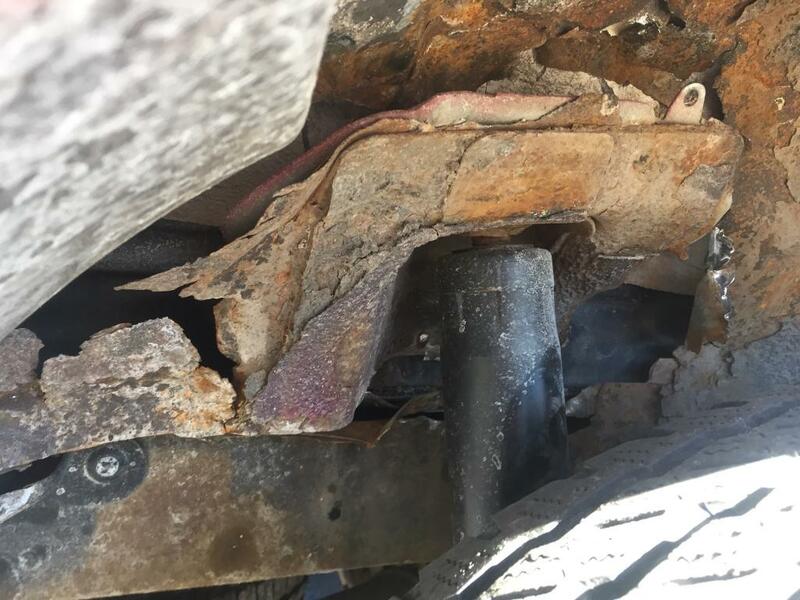 ford issued recall for 2001-2004 for the same problem but did not extend to 2005, I was driving on highway and could have been in a serious accident when entire rear wheel well separated from frame. Extremely disappointed with Ford. When I saw my problem and all the complaints, I expected to find a recall. I called the dealership that I purchased the car from and they told me they do not work on cars that have more than 100000 miles. I called a second Ford dealership and they told me to go to a non Ford body shop. Never again will I buy a Ford product. Right rear shock totally detached due to the inner wheel well being totally corroded. Entire wheel well needs replacement. Estimates for repair minimum $2000. Identical issue that others are having, rear passenger side. Haven't taken it to a body shop yet, am hoping for a fix, even better would be a recall by Ford. Update from Mar 25, 2017: a body shop estimated repairs to be at $5000. Just want to add my complaint to the 100 plus others with the EXACT same issue. Started to hear a loud banging sound in the back passenger side of the car when hitting even the slightest bump. Took it in to the dealer and the rear passenger side wheel well is completely rusted through. The wheel could fall off at anytime. It is not worth the cost to repair and is dangerous to drive. I'm shocked to see how many others this has happened to without a response from Ford. Tried to trade it in but the other dealer won't touch it other than to take it to a junk yard.....I loved this car and loved dealing with our local Ford service people. This is just not right. 2005 Ford Escape right rear inner fender well completely rusted, shock through body. Outrageous quotes for repair. Left side fine, numerous information about Ford knowing about problem but refusing to recall/help. Safety hazard. 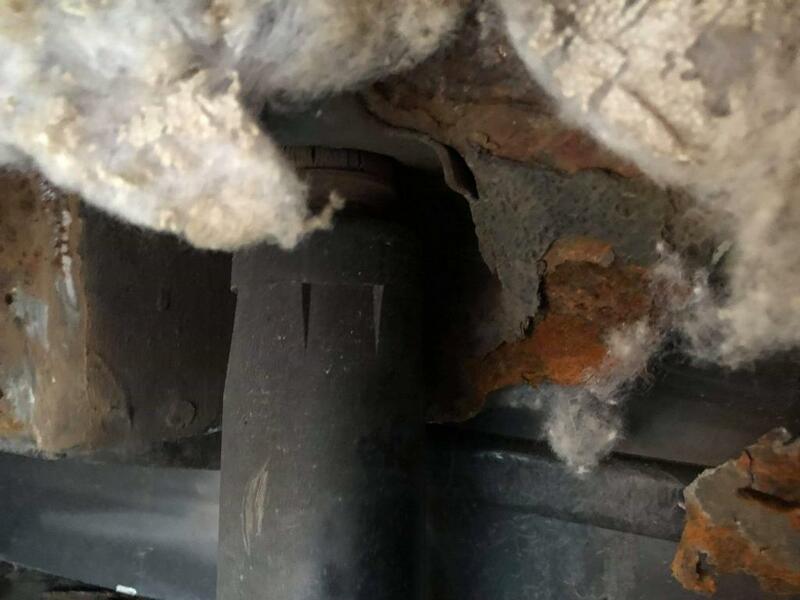 Started hearing the knocking around, seemingly coming from the trunk/rear passenger side wheel well, thinking it might be the shocks absorbers/struts… And then stumbled upon the boatload of problems that everyone around here seems to also be facing. I have an 06 Ford Escape, but 05 seems to be where most of the action on here is going on. I have a 2005 Ford Escape. It started to make a pounding sound in the back. 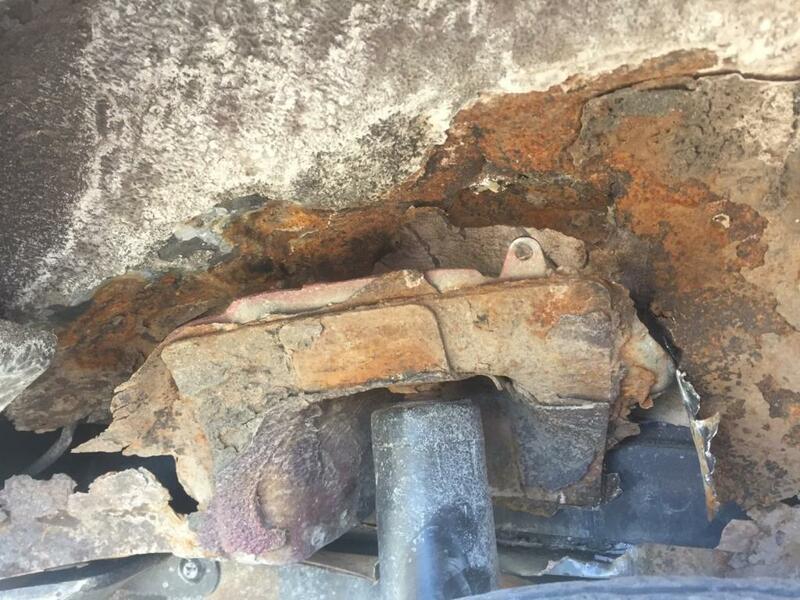 We looked at the rear passenger wheel well and the shock mount is rusted out. I have googled this and lots of people are having the issue. Ford absolutely should recall the 2005 Ford Escape for this reason. I have spent several thousand dollars in the past few years to keep my car running as long as possible. Ford raves of its quality and longevity in the industry, yet is not accountable to a structural flaw that they are undoubtedly VERY AWARE of and is stranding people who do not have finances to simply replace a vehicle on command. 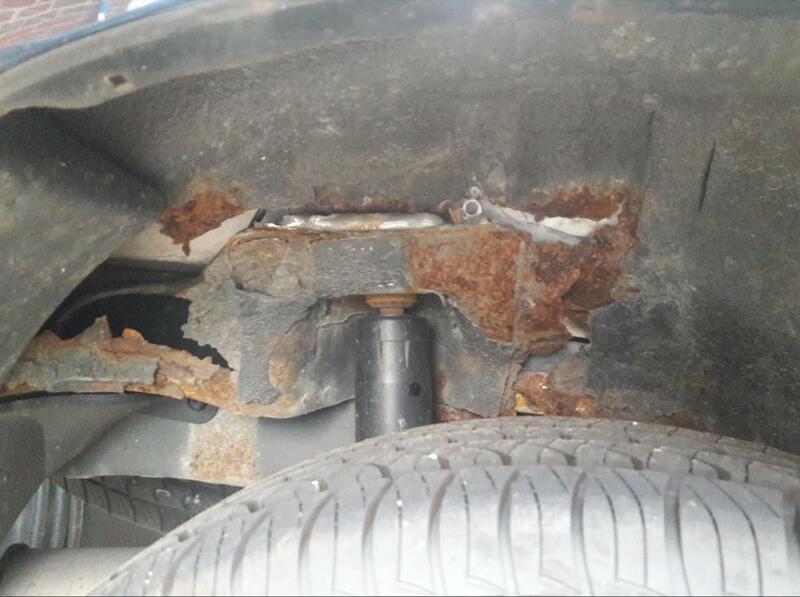 Not only that, the rusting out frame that the rear shocks are attached to is a VERY DANGEROUS problem. It does not present itself until it is too late to be prevented. A shock can puncture a tire, puncture the rear cargo compartment, cause an accident, etc. FORD, do a RECALL and show integrity for those who have been loyal customers and diligent car owners. The rear drivers side shock on my vehicle broke, which is what lead me to researching the problem. One week ago I had both rear shocks replaced. It took only 50 miles for the rear passenger shock to start separating from the wheel well. The frame is significantly rusted out, which was not visible until the shock started pulling the outer layer away from the frame. The inner layer is beyond help. I will be looking into a welding repair, but am not certain the investment will be worth it. This is nearly criminal, in my opinion, and should be resolved by Ford IMMEDIATELY. I HAVE MOSTLY OWNED FORD VEHICLES AND THEY WERE ALL HORRIBLE AS FAR AS PAINT CHIPPING , RUSTING OUT AND SUSPENION ISSUES. THIS WILL DEF BE MY LAST FORD VEHICLE, THEY COST TOO MUCH TO PURCHASE AND THEN TO MAINTAIN. $400 to have the auxiliary support kit bolted on the frame. Problem solved! Fortunately, I have choosen the best option I have been able to find out on forums and I installed the auxiliary shock mount kit that I ordered from Ebay 190$ + shipping (type ford escape shock mount, comes from Canada). I am not quite familiar to mechanics but I have to say this installation was quite easy with the instructions provided with the kit (you don't need any particular knowledge to do it, just owning a drill and a grinder is about all what you really need. The bracket and the patch are holding on quite good since. 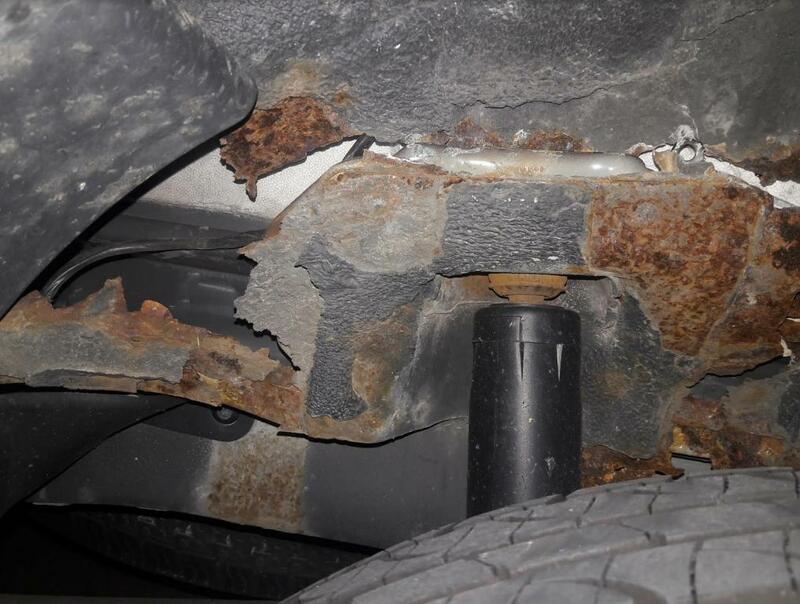 Front sub-frame and rear strut tower rusted on right side only, vehicle is 10 years old and unsafe to drive.